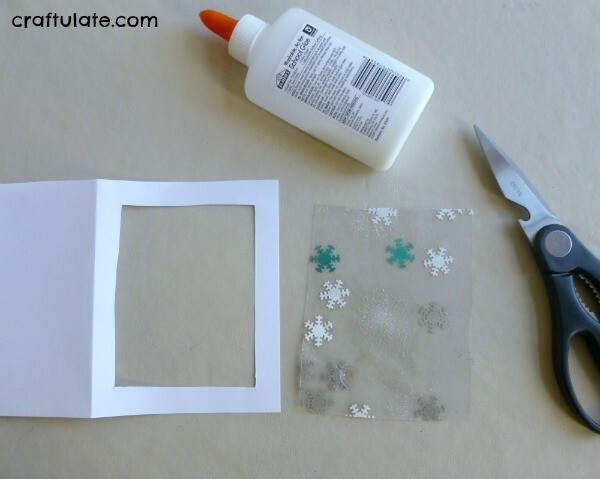 This frugal snowflake card craft is made from card, contact paper, sequins and glitter. The first step is to get your child involved. 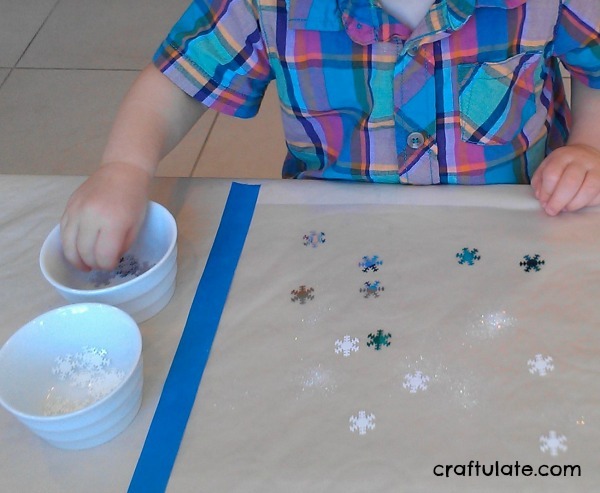 My son is 2.5yrs and is already very experienced at contact paper crafts! Tape a piece of contact paper down to a table – sticky side up – using some painter’s tape. Then set out the sequins (I had three different colors) and some glitter. F spent quite a while positioning the snowflake sequins. 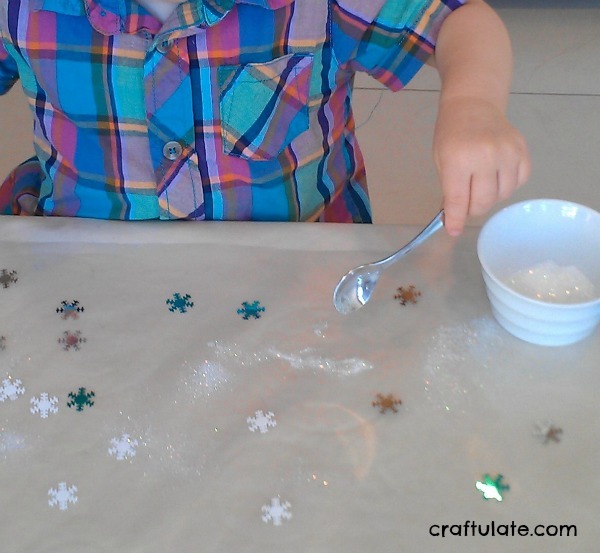 I gave him a spoon for the glitter and he rather enjoyed spreading it onto the sticky paper! When he had finished I laid another sheet of contact paper over the top to seal in the sequins and glitter. Cut a piece of cardstock in half and then fold each piece in half. 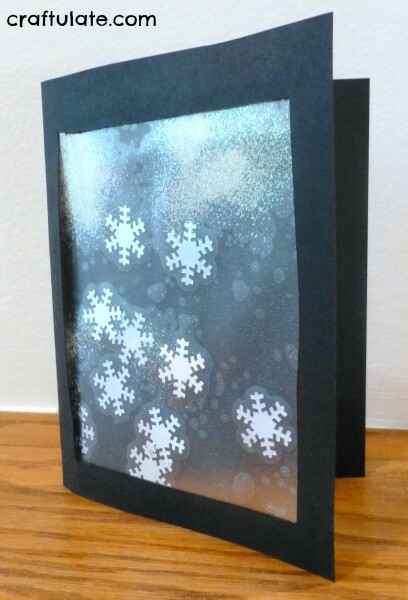 Cut a window from one half of the folded card, and then glue a piece of the artwork inside the window. 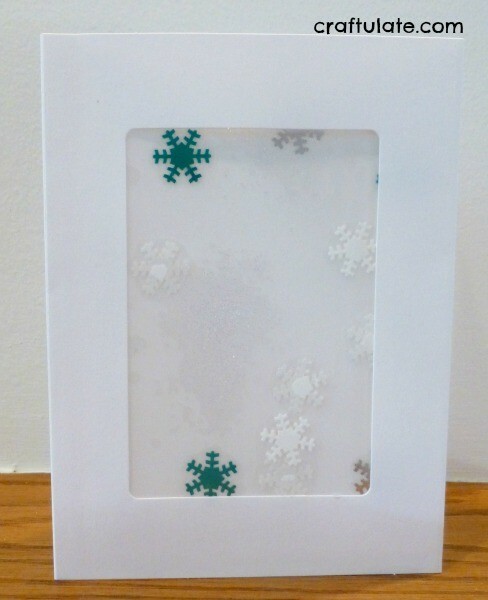 NOTE: Alternatively you can skip this step and use ready-made photo frame cards instead! The card has a great see-through effect (that actually you don’t get with the photo frame cards). I tried both black and white cardstock – the black has better contrast but somehow less Christmassy. 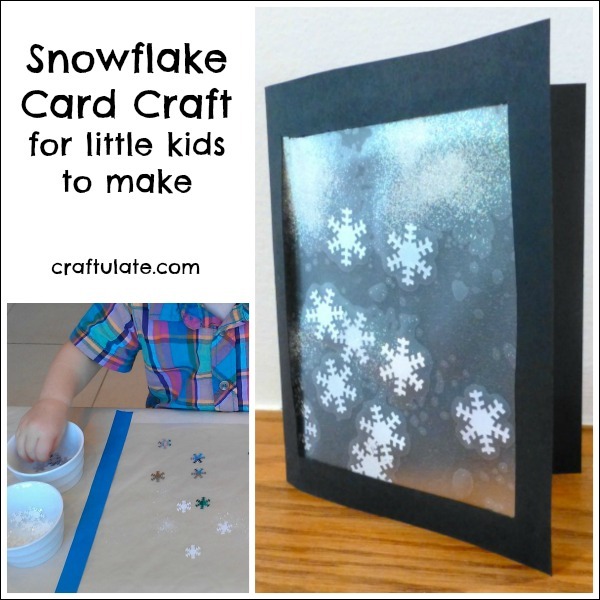 I think I will try this craft again next year and use some green or red card instead! 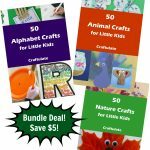 This post was originally published on Frugal Homeschool Family as part of the 25 Frugal Days of Christmas series.